What is the collapsed and expanded timeline? 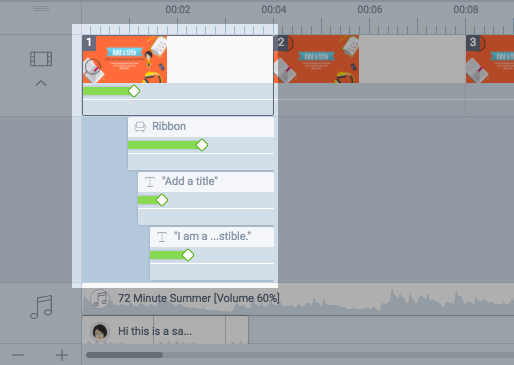 The collapsed timeline is the default experience in the video maker. To expand the timeline, click on the expansion arrow and more details will appear for editing. Adjust timings, effects, and other actions in the detailed track by clicking and dragging, or right click or CTRL+CLICK to copy, paste, and delete items. 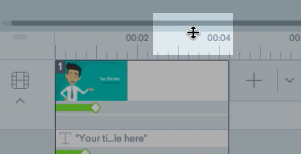 Re-size the entire timeline by moving the mouse over the edge of the timeline and dragging up or down.